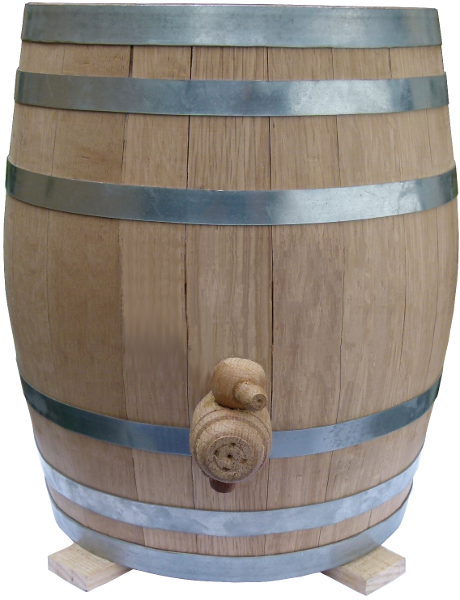 Are you interested in making continuous brew kombucha? Do you love kombucha but don’t have time to care for it? Do you hate having to take out the SCOBY when you make a new batch? Does it feel like you put in a lot of work but have to wait forever for the Kombucha to be ready? 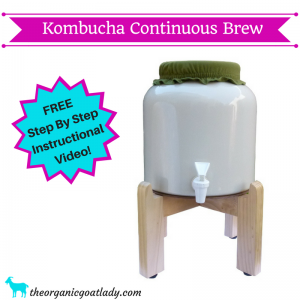 Then you need to watch the Kombucha Continuous Brew FREE Instructional Video! If you’ve been following me for a while, then you know that I looove kombucha! I love to drink kombucha, and I love to make kombucha! I know that making kombucha can seem daunting, and that it sounds like a lot of work, but that’s why I use the Kombucha Continuous Brew System! How to make kombucha tea using the kombucha continuous brew. The kombucha continuous brew vessel is so easy to use! You only have to remove and touch the SCOBY once or twice a year, which not only means less mess, but less chance of exposing your SCOBY to bacteria! Also, your batch of Kombucha is ready to drink in way less time! I’m talking several days versus ten to fourteen! In addition to being easier and more productive, the kombucha continuous brew vessel also makes a healthier kombucha! You can learn how it makes healthier kombucha and additional kombucha continuous brew benefits in my post Why You Should Use The Kombucha Continuous Brew System! 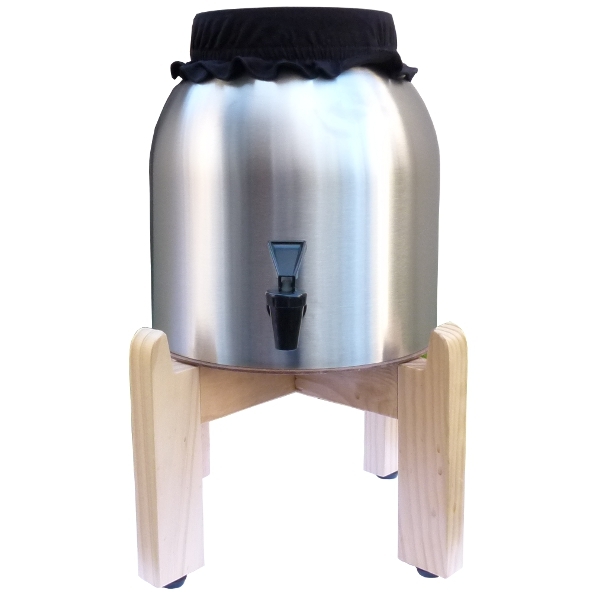 This picture is the Stainless Steel Kombucha Continuous Brew Vessel offered by Kombucha Kamp. Isn’t it pretty?! How to make kombucha tea using the kombucha continuous brew vessel? As I mentioned above, the kombucha continuous brew vessel is so easy to use! Once you get the brewer set up and your initial batch of Kombucha started, you will follow the same process every batch you make. Instead of telling you how to use the kombucha continuous brew vessel for each batch, let me show you! Simply scroll down to the bottom of this page, enter your email address in the box that offers the FREE Kombucha Continuous Brew Video and you will receive a link to the video directly in your inbox! In this video I will show you how to make Kombucha using the continuous brew kombucha, as well as walk you through adding flavoring to your kombucha using two of the recipes that I offer on my blog! Where do I get the Kombucha Continuous Brew Container? There is only one place that I recommend buying kombucha supplies! 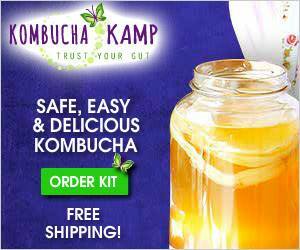 I recommend getting your CB Complete Kit here from Kombucha Kamp! This is the only company that I fully trust for my kombucha products. Hannah Crum, the owner of Kombucha Kamp, is very dedicated to providing only the best Kombucha SCOBY’s and products available! She ships her SCOBY’s in a pack of starter liquid and they are NEVER dehydrated! This is very important for the health of your SCOBY and thus the health of your Kombucha! Doesn’t the Kombucha Continuous Brew Vessel sound amazing?! If you aren’t doing a happy dance yet about how easy this is going to make your life, then scroll on down and subscribe to watch the FREE Instructional Video! Trust me, you will be so excited when you see how simple and easy it is to make Kombucha using this system! As a busy mother of four, this is the kind of stuff that I get excited about! I know you will love it as much as I do! Learn How To Use The Kombucha Continuous Brew System! Subscribe to receive this FREE instructional video! This video will show you step by step how to easily make a batch of kombucha using the Continuous Brew System! 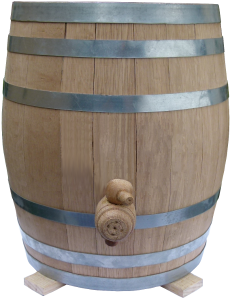 Hi – when you add sweet tea to the continuous brewing container do you stir it? No I do not stir it. When you dump it in it will mix in with the existing kombucha and the culture will begin to ferment the new tea.